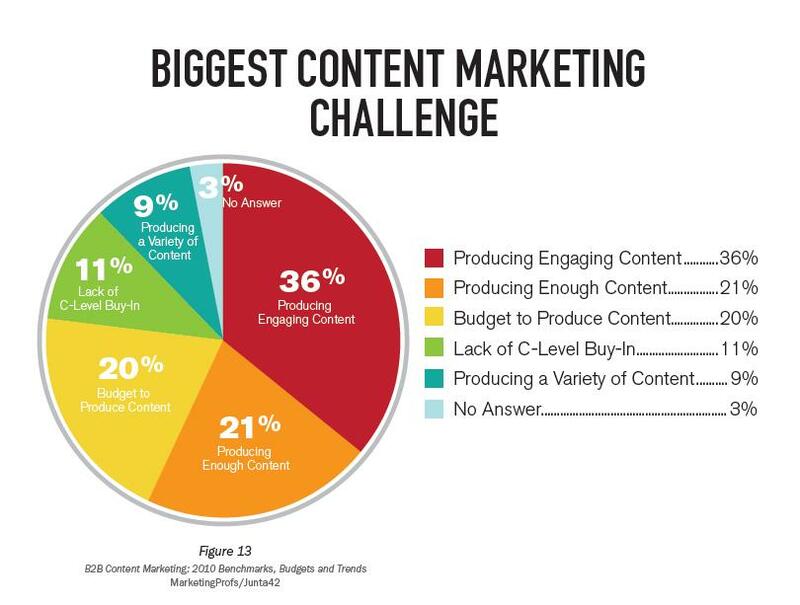 High quality content interesting to the reader is the holy grail of SEO and content marketing. For many years keywords have been used to help websites get indexed by the search engines. They help them get listed high enough to matter on the search results. 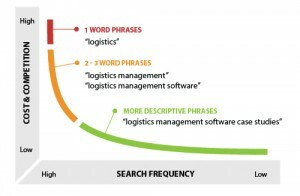 Long tail keywords are becoming more popular. They often deliver better results for the website owner, the marketing campaign and of course the reader or customer. Content specialists can organically identify long tail keywords or use various tools to help them identify long tail keywords to improve search engine visibility and results for the customer. We will discuss several ways to accomplish this in the following notes. Assuming that you have some sort of tracking mechanism on your website, you can use the stats from this tracking tool to help you. What pages or posts are the most popular. What search terms did visitors use to find your site? There is a wealth of information on your sites tracking information that can help you address areas of content for your customers and help you rank better with the search engines. Use Google search to confirm search results for your keywords. If results of a search deliver millions of results, you probably should refine your keywords. If they produce results in the low hundreds of thousands, your getting better. High quality content written around long tail keywords that readers are searching for will bring your site better results. Check for bounce rates. If a visitor comes to your site and immediately moves on it tells you that your content did not address his of her needs. What where they searching for? 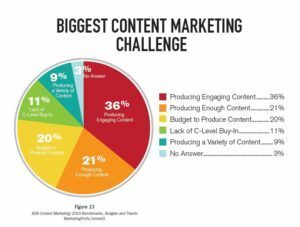 Did your content address this need? By updating your content or adding new content focused on this long tail search string used by the customer, you might just improve bounce rate and retain the customer on your site to achieve whatever objective you have. It takes time to get it right, however this should be a daily job for your SEO and Content specialists. For those of you who may not be fully aware of how keywords work, the evolution long tail mobile keywords are changing once again, this time for mobile phones. But before we discuss this topic a quick refresher on how keywords work and what they cost. Common keywords that are short one or two words are expensive to advertise using adwords/ There is a great deal of competition for them as shown by the graph. There is a lot of traffic, they are expensive and there is lots of competition. 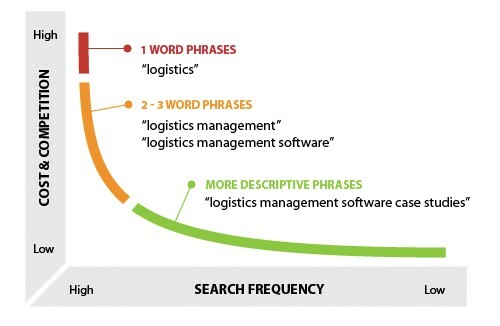 Long tail keywords with 4 or more words are searched for less frequently. They have less traffic and cost less in programs like google’s adwords. Mobile phones are increasing in use for just about everything including searching for information. The search engines are paying a lot of attention to this requirement and have begun changing the way results of searches are presented to the mobile phone owner. Previously search results were presented to the mobile phone user for apps they already had installed on their phone. This limited the search results and value the searchers received. The change means that now search results will include results for all relevant information. Even if the app is not installed on the phone. This step levels the playing field for app developers and companies and also makes content even more important. If your app is not installed on a smart phone of tablet, you can still get your information and your app displayed in search results on mobile phones. There is a chance of selling more apps and also whatever products or services you may be delivering.